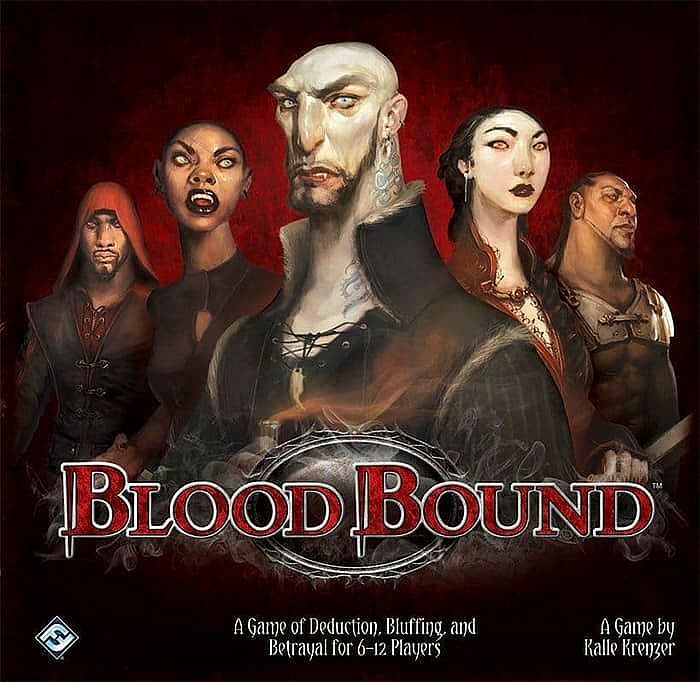 In Blood Bound, a deduction game played in 15-30 minutes, players assume the roles of members of two clans ''" the brutal, animalistic warriors of the Clan of the Beast and the graceful, deadly members of the Clan of the Rose ''" and (with an odd number of players) the human inquisition. Disguised by a secret identity, they try to kidnap the Elder of the opposing clan or give their lives for the benefit of their own Elder. Malicious attacks, aimed indiscretions, and assistance from others will slowly uncover the truth: Who fights for whom? And who is the Elder? 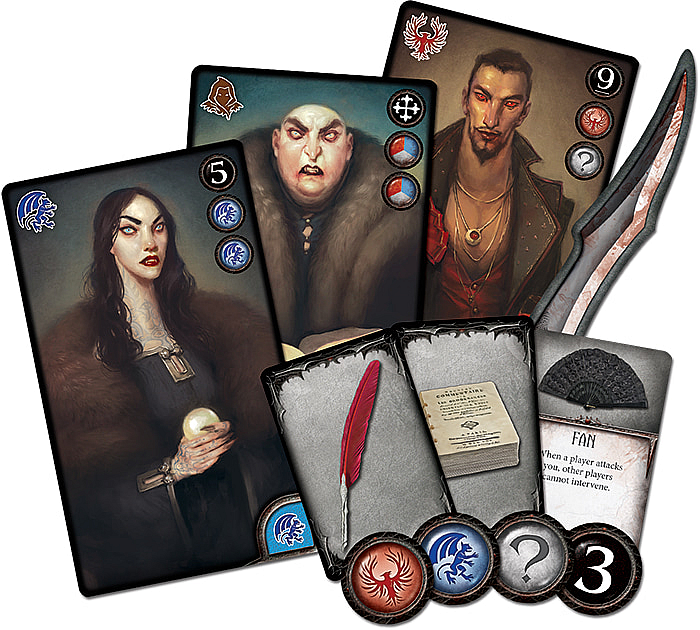 In the end, if you capture your rival clan's Elder, you win ''" but if you capture the wrong vampire, you've fallen into the enemy's trap and lose the game.